The month of March marks the second month of our second project for our international online cooking group, The Cottage Cooking Club. Presently we are cooking our way through a wonderful family-friendly cookbook written by Hugh Fearnley-Whittingstall, entitled „River Cottage Every Day". And the optional „Love your Leftovers“ by the same author. This month I prepared ten recipes from River Cottage Every Day. I will write about each dish in the order in which I prepared them. My first recipe for this March post was the Focaccia (page 8) from the chapter Daily Bread. With just four ingredients, namely bread flour, sea salt, yeast and olive oil, Hugh´s recipe has become my go-to recipe for Focaccia, that soft, tasty bread with a light oily, salty crust – perfect for any season and „eminently tearable and dippable“. I like to sprinkle one of my favorite spice mixes on the Focaccia, before baking and after having drizzled a mild olive oil all over the un-baked bread. My spice blend of choice these days is Za’atar, the Middle Eastern spice mixture is so delicious and it is so easy to mix yourself. Make sure to sprinkle the Focaccia prior to baking and keep some of your mix for dunking a nice hunk of your Focaccia in flavorful olive oil and then in the Za'atar. Or sprinkle Za'atar over plain yogurt and drizzle with olive oil, and you've got a terrific dip. To make the Za`atar, you combine 1 Tbsp. chopped fresh oregano, 1 Tbsp. sumac, 1 Tbsp. ground cumin, and 1 Tbsp. sesame seeds. Stir in sea salt and 1 tsp. freshly ground black pepper. That´s it! And make sure to also have some delicious, sweet Roasted Garlic on hand when serving this Focaccia. A perfect side. For the Roasted Garlic you will need a large head of garlic and olive oil. Preheat oven to 350°F. Cut top 1/4 inch off heads of garlic to expose cloves. Place garlic in small baking dish. Add oil and sprinkle with salt and pepper; toss to coat. Turn garlic cut side up. Cover tightly with aluminum foil. Bake until garlic skins are golden brown and cloves are tender, about 55 minutes. Cool. And serve. My second, third, fourth and fifthy recipe for this month were Tomato Toast (page 54 ) from the chapter Making Breakfast, then Lemony Zucchini on Toast (page 263), then Roast Potatoes with Lemon, Rosemary, and Thyme (page 316) from the chapter Vegetables Galore, and Zucchini Kisir (page 117) from the chapter Weekday Lunch Box. I did take some liberties with the Tomato Toast which, in Hugh´s recipe is a riff off a Spanish breakfast treat that calls for toast, a hint of garlic and grated tomatoes, salt and olive oil. I took these elements and proceeded to do my version of Hugh´s Tomato Toast. Looking for some inspiration at the green grocer the other day, I did a staring down contest with the tomatoes on display there. Since summer tomatoes are far from being available in spring, I decided to roast cherry tomatoes on the vine, with olive oil, garlic and rosemary from our garden and served these atop toasted bread, a sprinkling of Maldon sea salt – yum! Next up were the Roast Potatoes with Lemon, Rosemary and Thyme. If ever there was such a thing as a foolproof recipe for small fingerling potatoes (skin on) or small new potaoes this must be it. Simply wash your chosen spuds, leave their skins on, parboil for a good five minutes, then dry. Add them to baking sheets together with sliced lemons, garlic, rosemary, thyme and olive oil. Toss. Salt and pepper. And roast for about 40 minutes or until your potatoes are golden brown – since I used red skinned ones, the potatoes looked dark reddish brown. Serve nice and hot as a side dish to whatever strikes your fancy that day – roast chicken or fish would be nice. Then the Lemony Zucchini on Toast – a recipe that is one of our favorites, no matter in which book Hugh decides to include it. This recipe is a great stand-by recipe – you can add lemony zucchini and summer squash to just about any dish. Try them with pasta, as part of a mezze platter, add them to couscous or a bulgur wheat salad – or serve with some lovely cheese such as goat cheese. My herbs are already doing so well, that I decided to add some lemon thyme to these – in lieu of the regular thyme that Hugh´s recipe calls for. Good choice. It adds a nice herby lemony flavor and looks pretty too. And then there was the Zucchini Kisir – a rather simple yet very elegant salad. This will be a recipe that I see myself making for the kids come summer . A perfect salad-on-the-go or salad-in-a-jar recipe. Bulgur wheat is readily available around here and personally I like that it holds its shape nicely after cooking. Add yellow and green zucchini, lots of fresh herbs (Italian parsley, chives and dill) and a tangy dressing made with freshly squeezed lemon juice and a fruity olive oil. I did not add tomatoes this time but when nice, ripe tomatoes cross my path, I will do so. Carrots are generally a staple at our house, so the Roast Carrots with Butter, Cumin and Orange (page 318) from the Chapter Vegetables Galore regularly make an appearance at our dinner table. I like the fact that the preparation method for this dish smartly combines baking them covered first and then roasting them uncovered for an additional 20 minutes. Tossed together with cumin and plenty of freshly ground black pepper and salt, and then finished off with some grated orange zest and some freshly squeezed juice to brighten everything – this side dish awakens all your senses – sweet, savory, fresh and utterly delicious. What I like about Hugh´s recipes the most, apart from the fact that they are really delicious and family-friendly, is the fact that they leave a lot of room for interpretation – I enjoy playing around with the ideas in the book, and it is fun to try out various combinations. So I took the liberty and combined three of Hugh´s recipes in one bowl – for the bottom layer I made the Beet and Walnut Hummus (page 127), then for the second layer I added the Beef with mustardy Lentils“ (page 101) and for the third and final layer, I made a topping of Summer Slaw“ (page 120) – all three recipes from the same chapter of Weekday Lunch Box. I liked this Weekday Lunch Bowl – the flavors went so well together – the eartyness of the Beet Hummus, then the nuttyness of the Mustardy Lentils – topped with the tangyness of the Summer Slaw. Each recipe stands out yet harmonizes with the other elements. Love experimenting and getting delicious results. Last but not least, the sweet treat, the Ten-Minute Chocolate Chip Cookies (page 393) from the chapter Treats. These cookie actually only take ten minutes to prepare (hence the appropriate title) but they took a bit longer to bake (at least in my oven) then the recipe called for. I used dark chocolate, oats and chopped nuts the first time I made them but this time I only used dark chocolate chunks. A cinch to prepare and a cinch to bake. Best enjoyed warm and while the chocolate is still gooey. In summary, we loved each and every recipe this month – a lot of familiar River Cottage flavors, a lot of well-known techniques and reliable, family-style recipes that we all enjoy so much. This is still fun and I still love cooking from the River Cottage family of cookbooks! Please note, that for copyright reasons, we do NOT publish the recipes. If you enjoy the recipes in our series, hopefully, the wonderfully talented and enthusiastic members of The Cottage Cooking Club and their wonderful posts can convince you to get a copy of this lovely book or both books. Better yet, do make sure to join us in this cooking adventure. Oh my, what a beautiful array of delicious food... due to the Midas touch of Andrea.. Hugh's food never look better than these! I especially love your take on Hugh's tomato toast, and that lemony zucchini on toast! You are amazing! 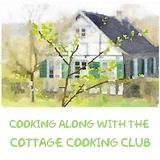 Thank you for your kind words and your support of the Cottage Cooking Club! I'll be visiting blogs for comments today! Dear Juliana, really appreciate your very kind words! Thank you so much! Yes, spring has definitely arrived, warm and sunny and herbs and flowers abound! "See" you very soon for comments! Hi Andrea, each and everyone of your meals look amazing, you have brought out the best in each dish, it's hard to pick a favorite. I love the simplicity and alternatives that come with each of Hugh's recipes, he really makes the kitchen fun. Thanks for your leadership and hosting us once again. Hugs! Thank you very much, Cheri! I am glad that we are cooking through this lovely cookbook of Hugh´s - so many nice everyday recipes in there and s.th. for every season. 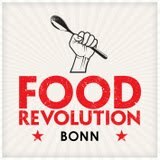 I am looking forward to the next few months and hope to learn another thing or two from Hugh´s recipes. Your presentation, colors, & textures are pure poetry. Dear Kim, always such a pleasure to hear from you. I enjoy all your kind and thoughtful comments so much - they truly come from your heart! Thank you for that! I am still re-cooking and trying new recipes from Hugh's original River Cottage cookbook. Why am I most grateful that he showed me how to make the perfect poached egg. And, the beet tart. Do you remember that, Andrea? I could make so many of these recipes from his Everyday cookbook and feel that I can, just from your explanations. The focaccia, the potatoes, tomato toast and Zucchini Kisir, I could make right from this post. Your monthly post is inspiring and creative and the presentation, as always, is spot on. This post brought back many memories as well. (Kathy VB loved the beet tarte, do you remember that?). Katie Baillargeon and her husband and little girl are coming for lunch tomorrow. Do you remember her from FFWD and our original CCC? We'll remember you tomorrow, for sure. Dear Mary, there always seems to be one or more techniques in particular that we all learned from Hugh´s recipes and that we keep on using - for you it is the poached egg, for me it is the "how to use chickpeas in every recipe conceivable when you need s.th. substantial to eat" - these days I have cans of chickpeas in my cupboard at all times. I most certainly remember Katie and her family and I also remember that Kathy was a true fan of the beet tarte - absolutely wonderful memeories of that time. And I keep hoping that we can create some new memories with our continuing to cook our way through another one (or two) of hugh´s book(s). Liz, thank you very much! For some reason I love to bake Focaccia and roasted garlic, well, we just can´t get enough of that stuff. And the chocolate chip cookies are just another fun "last minute kind of recipe" to put together when that crave for cookies hits you! Liebe Grüße and euch beide! Your chocolate chip cookies turned out just like Hugh's! I'm still wondering what made the difference in mine, but no matter, they were still delicious. Your focaccia is like the Platonic ideal of focaccia! I especially love the dishes you chose for that beautiful lunch spread this time. The bulgur wheat salad sounds like one I'd really love. And your weekday lunch bowl riff on three of his recipes is just brilliant - that's how to get the most from a cookbook! Dear Teresa, those cookies...I have made them a few times and I kept changing things up like adding oats, chopped nuts, raisins but I somehow like this first and original version the best and I was just lucky that they turned out this way that particular day I took the pics.